At Gearshop we sell a wide range of accessories for a range of Land Rover models, and if you've already invested in a Land Rover as your vehicle of choice, you might wish to personalise it to add a little more style or substance. 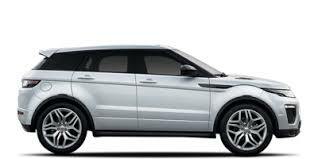 So whether you're looking for tyre valve caps for your Evoque or rubber mats for your Discovery, we can help. The accessories we supply are all genuine Land Rover vehicle accessories, and so the quality of each product is exactly as you would expect from this iconic brand. Our Land Rover vehicle accessories are suitable for a wide range of Land Rover models, including the Evoque, Discovery, Freelander, Range Rover, Discovery Sport and Defender. Each of our accessories will either add a little extra sparkle to your vehicle or provide some additional protection to help you maintain your prized vehicle in pristine condition. Our accessories also come in a range of designs and prices to suit most owners, and they are categorised by vehicle model type to make it easier for you to shop and ensure that you buy the right product for your vehicle. If you're looking for rubber mats, our range includes those suitable for first, second and third rows, where applicable, giving you the flexibility to choose which are the most appropriate for your lifestyle. Many Land Rover vehicle accessories come with the easily recognisable Land Rover logo, while others come with the type of classic, timeless designs that you would expect to be associated with such a quintessential brand. While we like to think that you will be perfectly happy with any Land Rover product you purchase from us, we do offer a guarantee which is both comprehensive and no-nonsense so you can have complete peace of mind when you buy from us.